Immunotherapy holds out new hope for many cancer patients. But for those with the disease, navigating the maze of experimental treatment can be daunting. In September 2015, just days after I’d begun chemotherapy, I was at an art exhibit in Atlantic Highlands when I started talking to a gentleman standing quietly in the gallery. When I discovered he was a doctor, I lingered. Then he told me about a barely known, seemingly magical cancer treatment called immunotherapy. 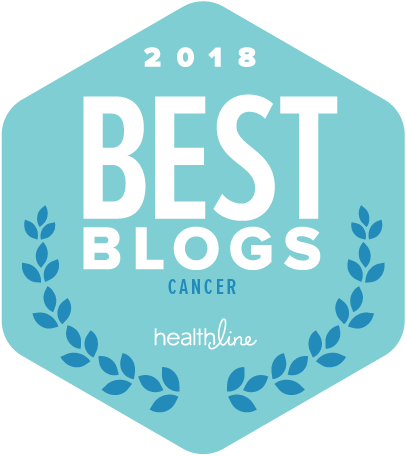 He talked about it like it was the Manhattan Project—a secret being held closely by the cancer-research community—and although I was alarmed that someone was talking about recurrence when I’d barely begun treatment, I filed it away. Almost a year later, and eight months out of therapy myself, I was sitting with a friend at the Rutgers Cancer Institute of New Jersey in New Brunswick, where immunotherapy—far from being a faint dream—was front and center on the agenda. So, here we were, talking about exactly what the doctor in Atlantic Highlands had mentioned so cryptically a year before. By this point, immunotherapy—a treatment that enlists a patient’s own immune system to kill cancer—was no secret, having exploded into public consciousness in December 2015, when former President Jimmy Carter announced that his brain tumor had completely disappeared. He had been treated with a Merck immunotherapy drug called pembrolizumab, marketed under the trade name Keytruda. But the Food and Drug Administration has only approved Keytruda and drugs like it for melanoma, non-small cell lung cancer and a few other conditions. For a breast-cancer patient like D’Agostino, the only option is to enroll in a clinical trial. That’s what brought us to the Rutgers Cancer Institute—to find out more about the institute’s phase II clinical trial, a test of Keytruda on patients with metastatic triple negative breast cancer. Six weeks later, D’Agostino would join that trial. Her new tumor had tested positive for a molecule called PD-L1, which meant she was a fit for the trial. But first, she had to navigate a complicated medical maze that included 14 more doctor appointments, two brain MRIs, five CAT scans, two bone scans, a PET scan, two chest x-rays and two biopsies—the second of which was requiredbecause the lab had lost tissue collected the first time. Chemotherapy, the standard-bearer of cancer treatment for the past 50 years, was a medical accident that grew out of the use of chemical warfare. Two pharmacologists hired by the U.S. government at the beginning of World War II to find an antidote to mustard gas had begun to suspect that it might have properties that could slow the growth of certain cancers. A year into their research, when German bombs struck a U.S. battleship secretly carrying mustard gas, their hunch was validated. Autopsies of victims of the attack showed that the mustard gas had profoundly suppressed their lymphatic systems. By 1946, it was reported that nitrogen mustard injected into lymphoma patients had indeed shrunk their tumors. But immunotherapy—the newest weapon in the war on cancer—was no accident. It was a direct result of the sequencing of the human genome, which allowed scientists to begin discovering the genetic mutations that cause cancer. “All of a sudden, we could start to design drugs that could be targeted against a specific defect,” says Dr. Andre Goy (pronounced gwah), director of the John Theurer Cancer Center at Hackensack University Medical Center. The first breakthrough drug in this category was Gleevec, developed by scientists at Ciba-Geigy in the late 1990s. Gleevec turned chronic myeloid leukemia from a death sentence into a chronic disease. Oncologists and pharmaceutical companies are hoping that immunotherapy drugs called PD-1 checkpoint inhibitors—like the one Carter received—will perform this miracle for other cancers. Dr. Kim Hirshfield, director of the precision medicine translational laboratory at the Rutgers Cancer Institute, and D’Agostino’s primary oncologist, was able to simplify the complex science during our first visit. She pulled out a pen and a piece of paper and started drawing some squiggles. PD-1 interacts with PD-L1 or PD-L2, she explained, tapping one of her squiggles. “That puts an invisibility cloak over a tumor.” Behind this cloak, a cancer can slip past the patient’s immune system undetected. A PD-1 inhibitor—or immune checkpoint inhibitor, it is commonly called—removes the cloak and allows the patient’s immune system to recognize the tumor and destroy it. An added bonus: while immunotherapy drugs are administered the same way as most chemotherapy—by intravenous infusion—they generally don’t cause the dreaded hair loss and nausea. What’s more, when they do bring a patient into remission, it can last for years. Early successes have led to something of a pharmaceutical arms race. According to The Cancer Letter, a publication that covers cancer research, there are more than 800 ongoing clinical trials involving checkpoint inhibitors. As it turns out, the two companies that have the strongest positions in this market—Merck and Bristol-Myers Squibb—happen to be in New Jersey. Merck is headquartered in Kenilworth. Squibb, though based in New York, has 6,600 employees in the Princeton area, including many of its R&D employees. And immunotherapy is a big deal. “We see patients who were in hospice go into remission,” says Goy. How big? In a recent 10-K filing with the SEC, Squibb says Opdivo is the only drug that comprised more than 10 percent of its annual R&D budget in the last three years. Opdivo, responsible for $942 million in revenues in 2015, is so important to the bottom line that Squibb warns investors any bad news from its trials could cause a sharp decline in the company’s stock price. Keytruda, which racked up $566 million in revenue in 2015 and is the subject of 400 clinical trials, gets prominent mention in Merck’s annual 10-K report. Meanwhile, GBI Research, a provider of business intelligence, predicts that global sales of cancer immunotherapies will quadruple to $75.8 billion by 2022. Muddying the waters are recent revelations that checkpoint inhibitors have caused serious—and in some cases fatal—side effects by over-stimulating the body’s immune system. The consent form for the trials that D’Agostino signed include references to the risk of diabetes and the possibility of a fatal inflammation of the lungs, as well as dozens of less serious potential reactions, such as watery bowel movements, yellowin of the skin and weight loss. Complicating the picture further is a suit that Squibb brought against Merck in 2014, claiming that Merck’s development of Keytruda infringed on its Opdivo patent. The case is pending. Whatever happens in the courts, it seems the story of cancer treatment is being largely written in New Jersey. Although London-based AstraZeneca is a third major player in this field, two-thirds of the clinical trials in checkpoint inhibitors are reporting back to scientists here. If early success holds and side effects of these medicines can be mitigated, the brutality of chemo could give way to a gentler era of precision medicine. For now, except for patients with a few specific cancers, getting access to these potential miracle drugs means one thing: getting accepted into a clinical trial. If you live in New Jersey and you’re diagnosed with cancer, chances are someone will ask if you’re going to get treatment in New York, typically referring to Memorial Sloan Kettering. Why would you go anywhere else if the top doctors in the country are that close? On the other hand, if you’re looking at 12 weekly chemo infusions, you just might choose the convenience of a local hospital that provides such treatment. That’s what I did. D’Agostino, a Montcliar resident, also sought treatment close to home during round one, when her cancer was first diagnosed. But this time, with stakes higher, she considered the New York option. At the same time, recommendations from friends online and support groups led her to the Rutgers Cancer Institute and the John Theurer Cancer Center at Hackensack. D’Agostino spent most of September ping-ponging between New Brunswick, Hackensack and two Manhattan hospitals offering clinical trials. That makes a big difference to D’Agostino, a former Italian teacher, who is currently unemployed, single and relies on Medicaid. But D’Agostino was also drawn to Theurer, which similarly accepts patients regardless of their ability to pay. For starters, Theurer looks more like a five-star European hotel than a New Jersey hospital. Goy, the hospital director, conscripted Santiago Calatrava—designer of the World Trade Center’s Oculus transportation hub—to help with the plans for the building, which opened in 2011. The first thing you notice when you enter is the soaring, four-story lobby and its gleaming grand piano. Goy is particularly proud of the rooftop herb gardens and cooking studio. “This is the best way to tell a patient that you believe in their future,” he says. D’Agostino’s greeting at Theurer was impressive. She was handed a notebook, pen and a magnet “with every number you could need,” and was escorted wherever she needed to go. “It’s like a well-oiled machine,” she says. It wasn’t the accoutrements, however, that made it hard to decide where she would have treatment. It was the science. Both offered clinical trials for metastatic triple negative breast cancer. Elly Cohen, program director of BreastCancerTrials.org, says that the complexity of medicine at this level is extremely hard for patients to navigate. “As we get more and more into personalized medicine—the biology of your tumor, what medications are available to you—it’s going to be very confusing,” she says. D’Agostino wound up getting help from Vicky Carr, a patient advocate and clinical trial consultant based in Virginia, whom I’d met at a focus group for triple negative cancer patients. Carr helped D’Agostino tease out the differences between the trials she knew about and also sent her to check out trials at Memorial Sloan Kettering and Weill Cornell in Manhattan. D’Agostino couldn’t enter Cornell’s trial because they didn’t take Medicaid. Memorial’s trial involved androgen receptors, and D’Agostino’s tumor, it turned out, didn’t express androgen. Both the Rutgers Cancer Institute and Theurer offered clinical trials involving checkpoint inhibitors, but in the end, D’Agostino’s decision came down to trial phase. Theurer was enrolling patients in phase III trials, but since these trials are randomized, D’Agostino knew she might get a placebo. Rutgers was offering her a phase II trial in which all the participants were getting Keytruda. There was also the human factor. Hirshfield, at Rutgers, had a bedside manner so kindly that, if she weren’t wearing a lab coat and stethoscope, you might have mistaken her for a nursery school teacher. She occasionally giggled during a consult, and at the end of their first meeting gave D’Agostino a hug. There is no question that, while the science of cancer seems to be advancing at almost startling speed, the path for the cancer patient remains a labyrinth, blocked at every turn by a patient’s ability to cut through scientific complexity, insurance and monetary concerns, and considerations of geography. Does it help, I wondered, to live in the state where most of these drug trials were being initiated? No, says Dr. Cliff Hudis, CEO of the American Society of Clinical Oncology. “I personally don’t think there’s any particular geographic relationship.” After all, Merck and Squibb are global companies, and their drugs are used in clinical trials everywhere. “We will seek out top investigators, regardless of geography,” says Rubin of Merck. Yet being in New Jersey does have an upside, in part because of the talent the state attracts. Many alumni from the Rutgers Cancer Institute have gone to nearby pharmaceutical companies. Rubin, before joining Merck, oversaw clinical trials at the Institute. Cynthia Wojtaszek, director of U.S. regulatory strategy for oncology at Bristol-Myers Squibb, also hails from the Institute. Mary Todd, now global medical affairs leader for prostate cancer for Johnson & Johnson, was deputy director at the Institute in the 1990s. Further, New Jerseyans have a distinct advantage in getting access to new treatments because of a pioneering agreement Todd forged with health insurers in the mid-1990s, when she was at the Institute. With the help of some powerful friends in Trenton, she convinced insurers to voluntarily cover standard of care for all patients undergoing clinical trials in New Jersey. This includes all tests, scans and exams a patient would have even if they weren’t in an experimental protocol. For D’Agostino, doggedness, connectedness, luck and perhaps geography—along with our nation’s medical safety net—conspired to get her into a clinical trial. And although it surely didn’t feel that way to her, it happened—in medical-bureaucracy terms—at breakneck speed. But the real story of D’Agostino’s cancer is being written at a cellular level. It’s happening at the checkpoint between her cancer cells and her T-cells—the white blood cells that are key to the body’s immune response. In December, blood tests showed a significant decline in tumor markers and a scan indicated that all the nodules in Chiara’s lungs had disappeared. Although some new nodules had shown up on her lumbar spine, doctors were optimistic that the Keytruda was working. Only time will tell.